Many of us would consider rosemary one of our favorite herbs. Who doesn’t love recipes like rosemary baked chicken or rosemary potatoes? It’s excellent in a wide range of recipes and easy to find at most grocery stores. But it has more to offer than just its tastiness. Rosemary has a wide range of important health benefits, positively affecting many different bodily systems. According to researchers, it has the potential to help prevent brain aging. So just how does it do that? Here’s what you need to know. One study shows that carnosic acid, one of the compounds found in rosemary, can help to fight free radical damage in the brain. And free radicals are thought to contribute to stroke, Alzheimer’s and dementia. Carnosic acid helps to activate a signaling pathway in the brain, thereby shielding brain cells from the damage that can be done by free radicals. And this, of course, plays a role in helping to prevent brain aging. In fact, the carnosic acid is activated by the free radical damage, which means it remains innocuous until it’s needed. This is precisely what we’d want to see. It works through redox chemistry, in which electrons are transferred between molecules – from one to another – which helps to activate the body’s defense system. Rosemary is a plant that yields essential oils, and that can be beneficial for brain health. 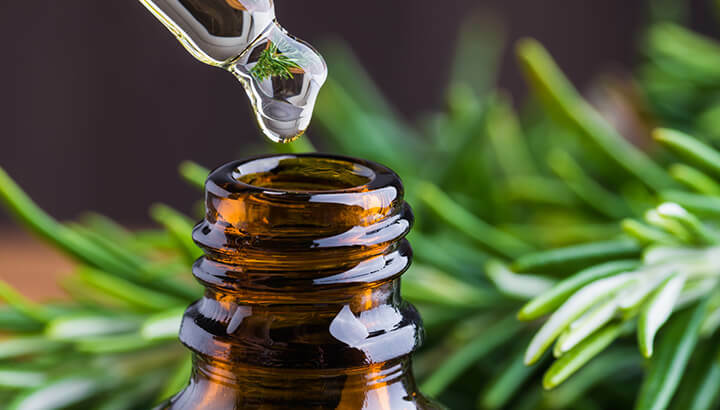 A study published in Therapeutic Advances in Psychopharmacology examined participates who were asked to carry out cognitive tasks in a cubicle diffused with the aroma of rosemary essential oil. Their moods were assessed both before and after being exposed to the rosemary, and blood samples were taken before and after, to demonstrate how much of the rosemary aroma was absorbed. Results showed that cognitive performance improved in relation to the absorption of rosemary. There was an improvement both in speed and accuracy of cognitive function. Changes in mood were only mild. To take advantage of these benefits, pour rosemary essential oil into a small spritz bottle, spray a little and sniff when needed. Or put a drop on your hands, cup them over your nose and mouth and inhale. Another study examined the effect of dried rosemary leaf powder on cognitive function. Participants were given a placebo, then four different doses of rosemary. Efter each, their cognitive function was tested. Although the highest dose actually had some negative effects, the lowest dose resulted in significantly better cognitive performance. We have different types of memory. There’s past memory, which entails recalling experiences and information we’re taught. Then there’s present memory, which is our minute-to-minute working memory. Finally, there’s future memory, which can be thought of as “remembering to remember.” This entails things like remembering to get on a conference call at 2:00 p.m., or remembering to run to the grocery store after work. Researchers at Northumbria University looked at the effects of both rosemary and lavender essential oils on future memory. Participants were broken into three groups. One group was placed in a room diffused with rosemary essential oil, one with lavender essential oil, and a control group with no essential oils. They were asked to find objects hidden in locations around the room that they had to remember later. Then they were asked to play distracting word puzzles, while also being asked to perform additional tests of future memory, such as recalling to hand a book to one of the researchers after seven minutes. Researchers found that the rosemary group performed significantly better, while the lavender group performed worse. This makes sense, as lavender is often used to promote relaxation and restful sleep. You may be asking, at this point, why many of the studies seem to focus on sniffing rosemary essential oil. Wouldn’t it be easier just to take a capsule? The answer is, yes, capsules might be a little more convenient, but probably less effective. When you consume a capsule, it’s processed by the liver, which breaks down everything absorbed by the gut. 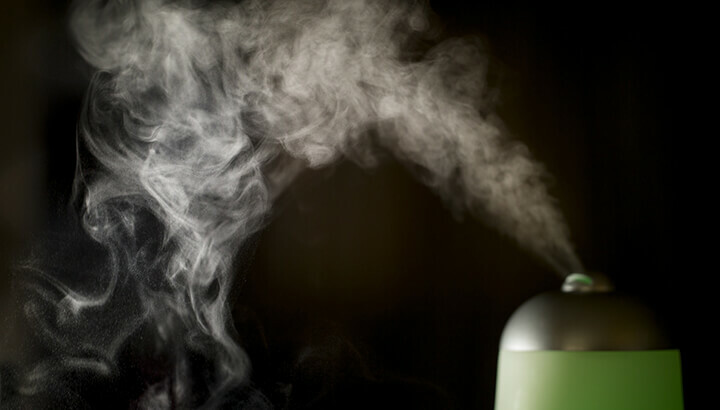 But if you inhale the same compound, more of it can be absorbed directly into the bloodstream. When it comes to rosemary, this isn’t too much of a sacrifice, as many of us enjoy its aroma. You can order two-ounce spritz bottles online that will easily fit into a handbag. Or simply purchase a small bottle of the oil and carry it in the bottle it comes in. When you need it, place a drop on your hands and inhale, as described above. While inhalation may be a little less convenient than taking a capsule, it can still be relatively simple, and the improved efficacy will be worth it. Clearly, research is suggesting that rosemary has benefits when it comes to brain health and brain again. What are some of the other health benefits of rosemary? Here are a few of them. One study in Oncology Report suggested that rosemary can help to fight leukemia and breast carcinoma cells. Researchers studied the effects of rosemary on both human and mouse cells. These results make sense, given what we know about rosemary’s antioxidant properties. Another study demonstrated that rosemary can help the liver to metabolize problematic estrogen. This can have positive implications when it comes to breast cancer, which is sometimes associated with excessive or aggressive forms of estrogen. The researchers added rosemary to the diets of female mice. This is good news because estrogen dominance is a condition faced by many women and may be impacted by our contemporary lifestyle. Research demonstrates that rosemary has an anti-inflammatory effect, as well as antioxidant properties. This means it can potentially be used to help treat a number of conditions. Some use rosemary to treat muscle and joint pain. While scientific research has not been done to determine the efficacy of topical applications, many people apply rosemary topically to treat pain. Some also use rosemary to treat migraine pain, though more research is needed to test the effectiveness of this. 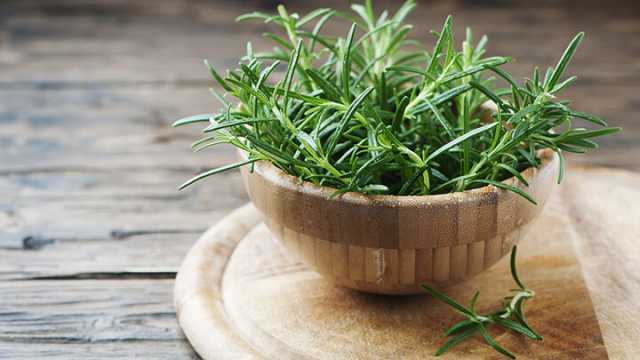 Germany’s Commission E, a scientific advisory board that offers expertise for the approval of products used in traditional and herbal medicine, has approved the use of rosemary to treat indigestion. Some believe it may be effective at treating constipation, as well. 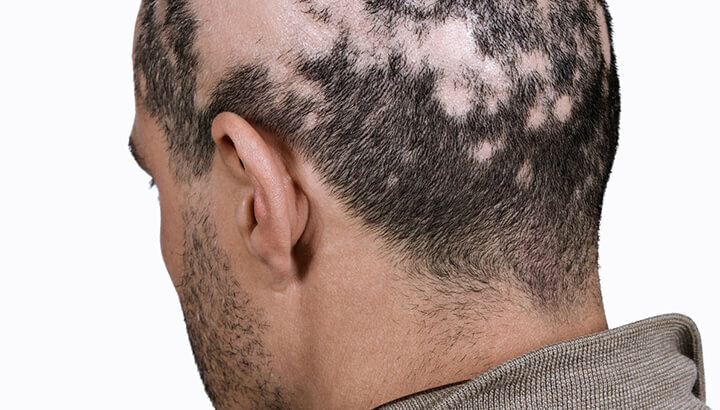 Alopecia is a condition in which the hair falls out, typically in clumps. One study found that rosemary essential oil — as well as thyme, lavender, and cedarwood essential oils — were effective at helping to treat alopecia. The study included 86 alopecia patients, who were randomly divided into two groups. One group massaged the essential oils into their scalps daily for the course of the study, and the other only used carrier oils (jojoba and grapeseed). By the end of the study, 44 percent of those in the essential oil group noticed improvements, whereas only 15 percent in the control group saw improvements. A number of studies have shown that rosemary can inhibit the growth of food-borne pathogens. One study, in particular, examined the effects of rosemary on Listeria. Researchers injected ready-to-eat turkey hams with various amounts of Listeria, then vacuum sealed them and stored them in a freezer for a week. Researchers then treated the hams with rosemary. While the rosemary did not completely eliminate the Listeria, it significantly reduced the amount of it. It is thought that the same properties that give rosemary its antioxidant effects may also make it effective at boosting immunity. Many of us could use an immune booster during the winter. If this is the case, try making a rosemary tea — it could potentially help you avoid getting the bugs that are going around. Plus, it is a nice way to warm up when the temperatures drop. As you can see, rosemary has many wide-ranging health benefits. Research demonstrates that it is effective at promoting brain health. It can fight free radical damage in the brain, improve cognitive performance, support better future memory and prevent brain aging. Rosemary also has many additional health benefits. And as a bonus, it is a delicious addition to many recipes. However, it is important to be aware that taking rosemary regularly may not be a good idea for everyone. It can sometimes cause allergic skin reactions. Rosemary might be unsafe during pregnancy because it is thought to stimulate menstruation or have effects on the uterus, though not enough is known about this yet. Rosemary also contains a compound called salicylate, which is similar to aspirin. Those with aspirin allergies should not take rosemary. It may also increase the risk of bruising and bleeding for those with bleeding disorders. It may also make seizures worse. As always, if you have concerns, consult a medical professional before adding rosemary to your daily routine. And if you have a specific condition you are hoping to treat with rosemary, it is advisable to consult a medical professional as well. As a general rule, rosemary is likely safe to take, for those who are in good health. Just make sure the doses are not excessive and you should be good to go. Hey Buddy!, I found this information for you: "Research Says Rosemary Prevents Brain Aging". Here is the website link: https://www.thealternativedaily.com/rosemary-prevents-brain-aging/. Thank you.